They're not just getting rich... They're getting even. Two heartless millionaires conspire to see what would happen if they reversed the fortunes of a stuck-up financier and a clever street swindler. Brothers Mortimer and Randolf Duke own the commodities brokerage firm of Duke and Duke, and they have nothing better to do than ponder whether a person’s heredity or environment has more effect on his life. 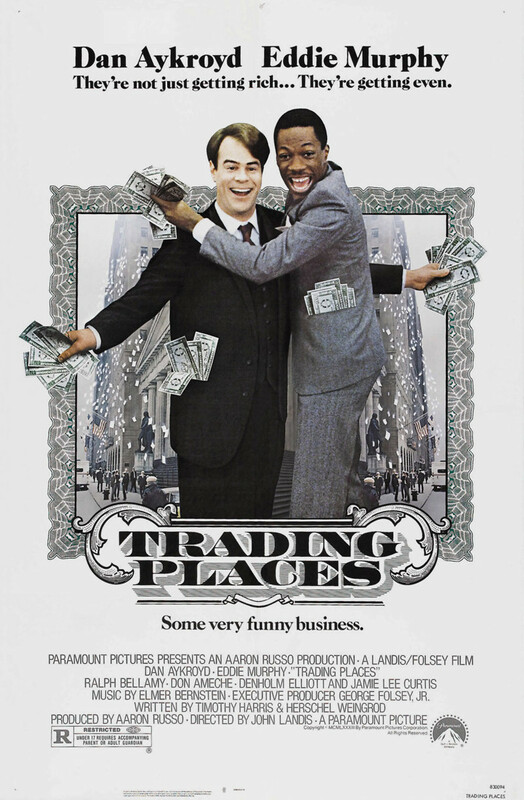 They frame one of their employees, Louis Winthorpe as a thief, and they give his position to a homeless hustler, Billy Ray Valentine. Louis loses his home and is eschewed by his friends and associates, and Billy Ray becomes a success at the firm. Winthorpe and Valentine eventually learn of the brothers’ wager, and they hatch a scheme to disrupt the Dukes’ plan to corner the orange juice market. They trick the brothers into investing in a false venture, ruining them, while Winthorpe and Valentine make a killing in the market.